What was it like When the Redeemer came to earth? LISTEN NOW! 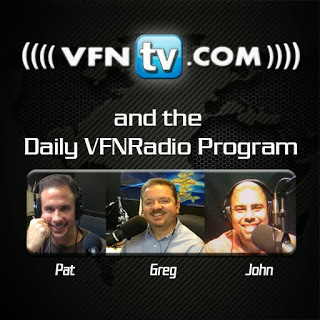 Greg, John, and Pat discuss what it was like when the redeemer of the world came to earth. They continue to discuss what was happening at the time when Jesus, our redeemer, was making his entrance to earth. Mary was riding a mule and Jesus was in Mary’s womb as they entered into town for a government census. Redemption for the world was in her womb while many people carried on unaware. God even used the government of the time in his plan. Don’t fret about small things especially those things related to government as God is in the one in complete control. Just like today people then were caught up in what was going on in their time that the Redeemer of the world made his entrance without many people even knowing the magnitude of what was happening. God has a plan to redeem mankind but if you are not paying attention you might think it’s about a “census” when it has nothing to do with that. People today are trying to steal the real meaning of Christmas from you look beyond that and don’t miss the Jesus in Christmas. Greg, John, and Pat discuss part 2 of the prediction made in 1992 by author Neil Postman that men would look to technology as God. They continue to discuss how technology has changed so much over time from the Gutenberg Press to the technology we have today. They continue to discuss how when people think about technology what often comes to mind is what they will get but what is often not thought about is what they will lose. Neil Postman, the author of Technopoly: The Surrender of Culture to Technology makes several observations as well as predictions. One such prediction is how people would turn to technology instead of turning to God. They continue to discuss that what God is in your life is not what you say God is but rather what you make as an idol in your heart. God will judge a nation for the idolatry in people’s hearts. Technological advances have made some things better and even efficient in our lives but one of the things it has taken away from us is our ability to have intimate connections with others. We can seemingly never get away from each other. They continue to discuss the impact the technology of the day, the Guttenberg Press, had at the time Martin Luther hand wrote his 95 theses not knowing the Guttenberg Press had the ability to make his theses go viral. They continue to discuss that with every new technological addition to society, society doesn’t just add technology to what it is it actually morphs into something completely new. However, they discuss that the church cannot morph into anything new it must always remain the church. They further discuss how the technology is neither good nor bad but what makes it good or bad is how the person behind the technology uses it. We are instructed in God’s word in Romans 12:1-2 not to conform to the patterns of this world. Not everyone can handle technology the right way and if that is you it’s always better to have God without technology than to have technology without God.